Discount of 10% applies to the EVOKE range only (110/220/330/440). The discount does not apply with other offers. To claim this discount you have to show your valid Seniors Card at the appointment. 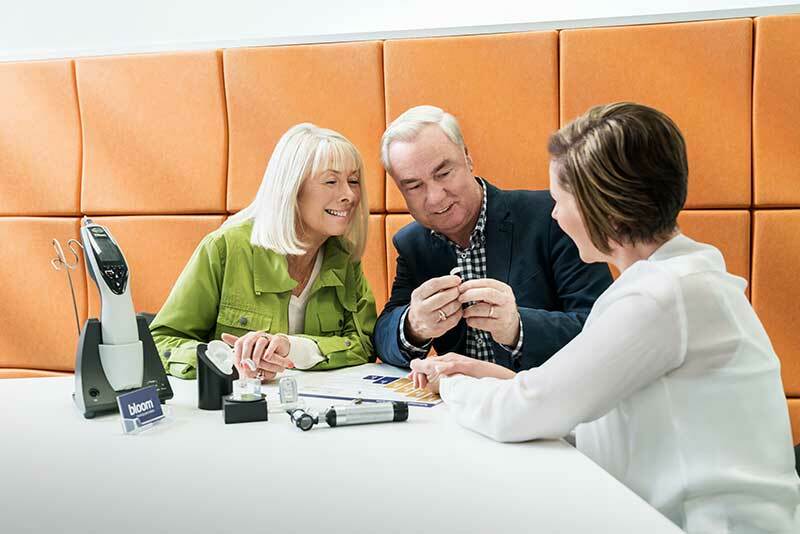 20% off selected hearing aids only – 110/220/330/440 EVOKE. This offer cannot be used in conjunction with any other offer or discount. The offer expires 31 January 2019 – your fitting must have been completed by that date. * Terms and conditions: This offer is only available to new customers, aged 50 years and over and not currently wearing hearing aids, that book and complete their hearing health check between 13 Dec 2018 and 13 March 2019. To claim the offer one must refer the code “bloom cinema” at their appointment. Only one movie voucher can be claimed by a new customer upon redemption of the code. The movie voucher provided will apply to Reading Cinema Auburn and may be subject to its own terms and conditions. Cinema vouchers will be delivered online via the email address nominated by the customer at the time of booking. Processing and delivery of the movie tickets may take up to four weeks from the completion of a hearing health check appointment. * Terms and conditions: This offer is only available to new customers, aged 50 years and over and not currently wearing hearing aids, that book and complete their hearing health check between 1 Jan 2018 and 1 April 2019. To claim the offer one must refer the code “bloom cinema” at their appointment. Only one movie voucher can be claimed by a new customer upon redemption of the code. The movie voucher provided will apply to Reading Cinema Harbour Town and may be subject to its own terms and conditions. Cinema vouchers will be delivered online via the email address nominated by the customer at the time of booking. Processing and delivery of the movie tickets may take up to four weeks from the completion of a hearing health check appointment. a. This ‘Refer A Friend’ promotion (RAFP) is offered by Active Hearing Pty Ltd trading as bloom™ hearing specialists Australia (ABN 91 087 971 051) of Unit 4, 660 Lorimer St, Port Melbourne, VIC 3127 (bloom™). c. The RAFP will be open from 24 September 2018 to 30 September 2019 (Promotion Period). a. Each Existing Customer that meets the criteria set out in paragraph 1(d) above will receive a $100 VISA Gift Card (Reward). b. The Reward will be delivered by a tracked delivery service to the residential address given to bloom™ (at bloom's™ cost). Processing and delivery of the Reward may take up to four (4) weeks from the time the Referred Customer has completed their Appointment. c. If bloom™ cannot offer the Reward due to events beyond its reasonable control, it will contact the Existing Customer and offer a reasonably comparable substitute to the Reward. d. bloom™ will not provide the Existing Customer with any information relating to a Referred Customer, except for the fact that a Referred Customer has completed a free hearing health check appointment and that the Existing Customer is therefore entitled to receive the Reward from bloom™, in accordance with these Terms. To the extent permitted by law, bloom™ will not be liable to any person for any cost, loss, damage, liability, expense or claim arising, whether directly or indirectly, in connection with the RAFP. d. The law applying in Victoria applies to the offer and these Terms.